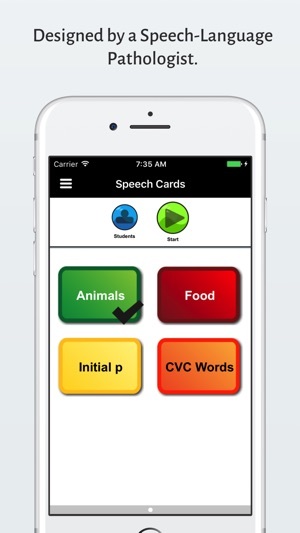 Improve speech and language skills with Speech Cards, a flashcards app for people of all ages. 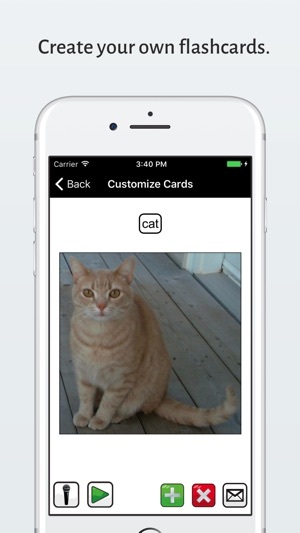 Each card shows customizable text and a picture. Tap on the text or picture to hear an audio recording. Use the microphone to practice speaking and then listen to get immediate feedback. Track the progress of your students by using the integrated scoring and reporting system. 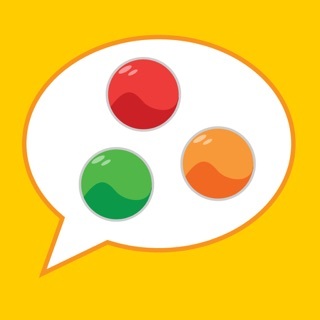 Create and share cards with your friends and colleagues. 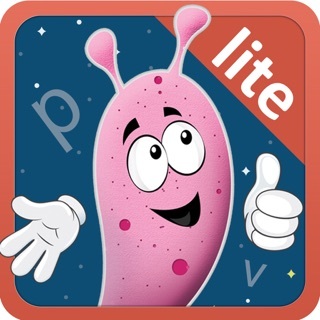 - Increase receptive and expressive vocabulary skills. - Practice sounds to increase articulation skills. - Listen to your recorded voice with microphone for feedback. 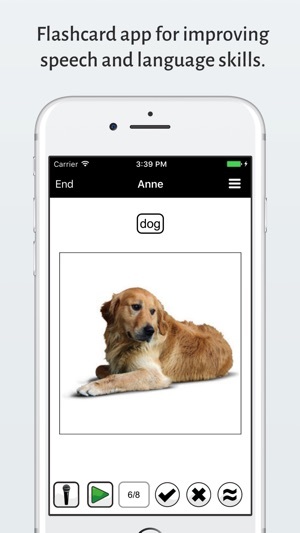 - For example, "animals", "food", "things that go"
- Create your own stories with text, pictures and audio. 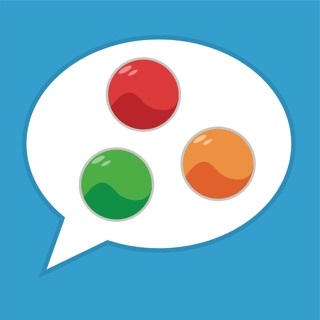 - Does not contain Social Network Integration or Links. - Does not contain In-App-Purchases. I love adding my own words! Update: Thanks for making this universal for the iPhone / iPod crowd! Update: the new updates are wonderful! 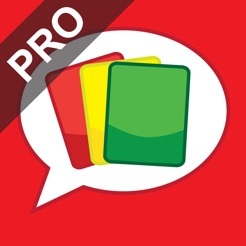 More card decks, and it easier to add/crop photos, super! 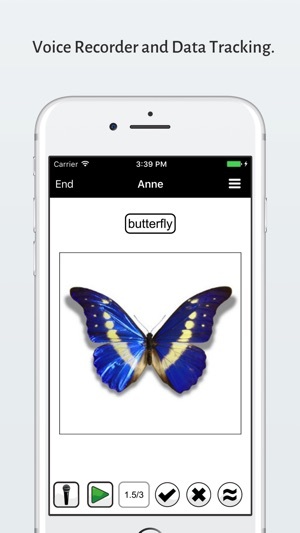 I love this- it is easy to add photos and I love the flexibility of using my own words instead of being limited to what is provided in other fixed sets of words- this has been especially important for multisyllabic words. 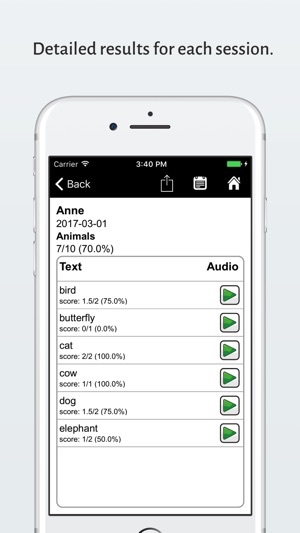 I surfed the net and saved images of "our" words to My Photos, then as an activity my students "helped" me add them to the app while practicing naming by function, feature etc. - I just described each one, and they had to find a matching card from their pile of flashcards. - Now we have the same words they have been using, in a digital format- this is really useful for when I am visiting my preschool students off-site- less to pack with me, and no worries about the cards getting lost. I appreciate the previous rater's suggestion to allow repositioning of pictures added to the app. Other than that, I wouldn't change anything, and at $4.99, this is a great deal compared to other similar apps. The idea is fantastic but adding pictures can be a pain unless they are just the right size. It doesn't let you move a picture around in the box to position it. The pictures and words are also pretty small compared to the amount of room on the screen. It would also be nice if there were some clipart options. I'd like to see improvement in those areas but otherwise it's not bad for the price. I am an Speech/Language Pathologist working with special needs preschoolers. 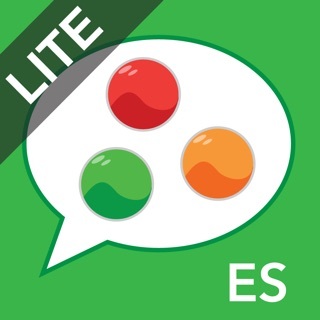 This is a fantastic app. I already have a couple of decks set up and I have ideas for 5 more apps. 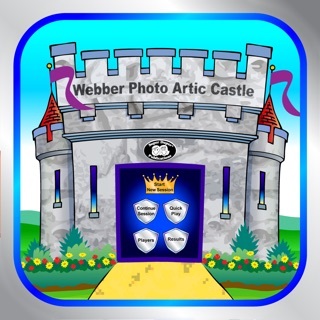 Very simple to add pictures and record. Love that you can keep track of a students progress towards a deck. Looking forward to using it as a way to monitor students skill levels. © Copyright 2012-2017, RWH Technology. All rights reserved.